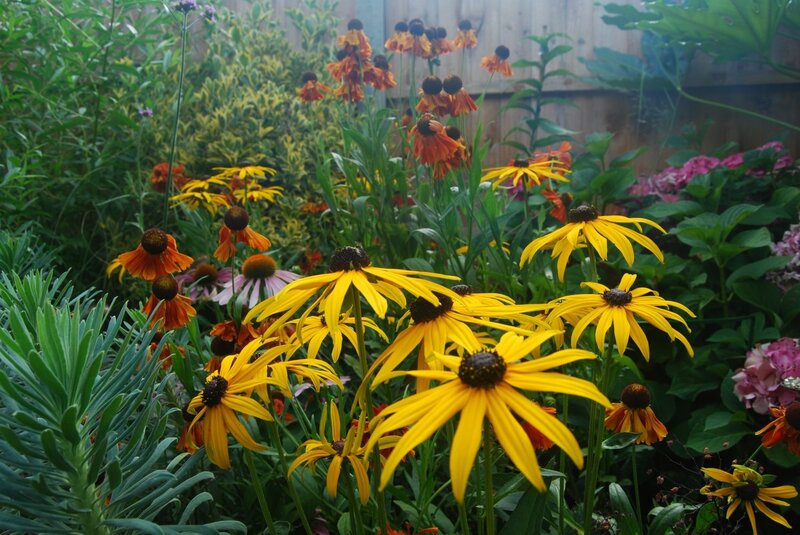 Compact garden with an exotic feel that combines hardy architectural plants with more tender ones. 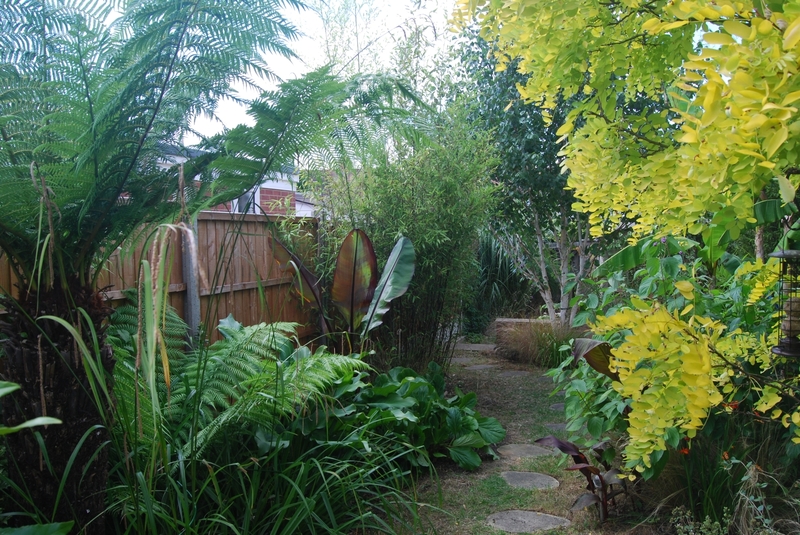 A feeling of a small oasis incl plants like Musa Basjoo, Ensette Montbelliardii, tree ferns, black bamboo etc. Potted mediterranean plants on the patio incl a fig tree and two olive trees.